said the greed to be happy. However, i recently read that increasing temperatures — due to global warming — are causing Milkweed plants to increase in toxicity (so much so that they are becoming very toxic to Monarchs). 😦 I’ll have a posting on this later on in the month. Things need to change! That would be very alarming. I understood that it’s toxicity kept monarchs safe from predators. I’ll read your post with interest. Yes, the toxicity kept monarchs safe from predators. However, now — with increased temperatures — Milkweed plants are increasing in toxicity so much that they are killing the Monarch caterpillars (that used to be protected by them). My upcoming posting about this is scheduled for August 29th. Also: I’ve always found that happiness is a byproduct. Books like “Twelve Steps to Finding Happiness” are probably profitable, but they’re essentially useless. and it hosts butterflies….a win-win in my book. Read what was written to Belinda. 😦 I’ll post more on that later. Beautiful picture, as usual. You are a true artist with a camera. keep eye open for monarch larvae. 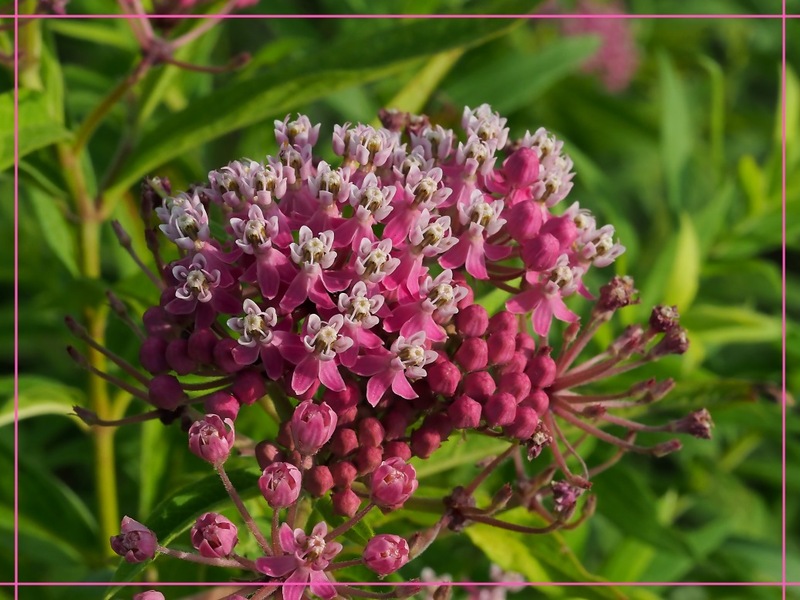 Gorgeous milkweed! Mine is just about to flower. Please read what was written to Belinda. I had not heard of the increase in toxicity of milkweed. I saw several monarchs this week at a nursery and in my friend’s garden. I’ve never spotted one in my garden. But I do have some milkweed growing, just in case! Please let me know if you see any Monarch caterpillars doing well on them. Very clever – beautiful shot of milkweed up close – magnet for those beautiful Monarchs. 🦋 Lovely photo. Your poem works delightfully well with it.